A freethinking firm makes its mark exploring the intersections between public and private, indoors and out, function and form. ON A MAY morning that was somewhere between rainy and sunny, in a Tokyo neighborhood that was somewhere between Shibuya and Shinjuku, I arrived at a nondescript brown-tiled building to visit Makoto Tanijiri and Ai Yoshida, the 44-year-old principals of Suppose Design Office, a Japanese architecture firm known for its raw, unfinished aesthetic — bookcases made from shipping pallets, houses with gaping holes instead of windows — that has been frequently praised and often copied in recent years. Suppose, which has more than 35 employees between this office and another in Hiroshima, and which is responsible for some of the most idiosyncratic contemporary homes and offices throughout Japan, moved into this partly below-ground space in late 2016. In a departure from convention, they built a workspace entirely open to the public: If someone could bring her laptop to a coffee shop and call it her office, couldn’t an office do the reverse, inviting people in from the street for an obsessively crafted cup of cold brew? Suppose even branded its own bags of arabica beans for this exercise, lining them up beside a library of design books, which customers can browse while drinking espresso near high windows that look onto the sidewalk. In the back of the 2,058-square-foot room, beyond a steel coffee bar, a dozen architects meet in small groups or draft plans on computers in rows on long tables, performing their jobs in plain view of a largely disinterested audience. Sitting in the cafe can be an odd and exhilarating experience, like sneaking backstage in the tense moments before a play begins. But after a few sips, you ease into it, enjoying the quiet bustle; you become part of a human machine that toggles between labor and leisure. Architecture, after all, dictates behavior: Public or private, indoor or outdoor, extravagant or humble, old or new, fake or real — these are a few of the obvious binaries by which we assess the spaces we inhabit. They are also the edges against which most architects hone their signature styles. But since their firm was founded 18 years ago, Tanijiri and Yoshida have instead devoted themselves to the liminal place where these elements break down; their designs (from a suburban house in Higashi with a dirt floor to a Tokyo cafe that transforms into a hostel) unite concepts that seem opposed. They aren’t interested in referencing the codes of Japan’s architecture establishment — nor in iterating upon their own past successes, as many distinguished firms do — but rather in envisioning new spaces that rest somewhere between the disquieting and the thrilling. THIS ETHOS IS perhaps best captured in Tanijiri’s own apartment, designed in 2015. (As might be expected from a pair that specializes in indistinct boundaries, the two were once romantic partners as well, though this was never Yoshida’s residence.) On the fifth floor of a mid-1970s building in Hiroshima — now a bicycling haven on the southern shore of Japan, where they both grew up — Tanijiri wanted to find “completeness in incompletion.” Rather than build a home, he unbuilt one, dismantling nearly all the existing walls, exposing rusty pipes and cement foundations. He then subtly demarcated the 1,270-square-foot space, employing casement doors and windows, shelving and entryway arches — all in steel. The furniture is little more than a huge cushion covered in patchwork indigo denim atop matching steel floors and a few wooden dining chairs. As with most contemporary Japanese architecture, simplicity does not necessarily mean ease or lack of complexity: Tanijiri’s home requires constant upkeep. Like a good Japanese knife, all of the steel demands incessant cleaning and polishing or it will rust before acquiring its desired blue-gray patina over the next few years. The metal’s transformation, though beautiful, is actually a form of controlled decay; the process speaks to Suppose’s obsession with permeable materials, such as concrete and unfinished wood, which require constant maintenance, and then, despite care, still diminish over time. 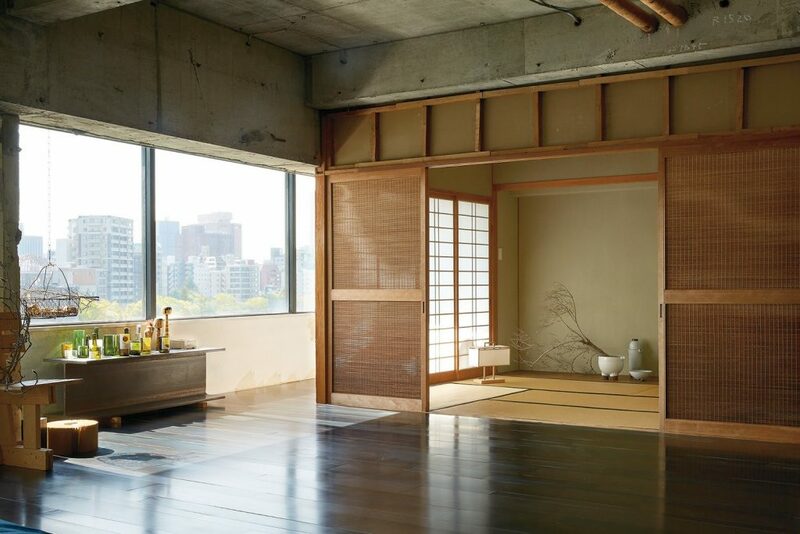 But perhaps the most compelling aspect of the disassembled apartment is the one that escaped destruction: Located near a window at the back corner of the living area is a traditional Japanese-style room that came with the place, with tatami-mat floors and shoji-screen walls. Without this flourish, the home might feel like the industrial lofts that have overtaken New York, London and other Western capitals. But by integrating the local vernacular, the project helps demonstrate why dozens of corporations have hired Suppose to bring their Western sensibilities east: In 2015, for the 40th anniversary of the French fashion brand Agnès B., Suppose skinned the company’s Ginza flagship store in pine plywood, which will wear over time to mirror the natural textures of the line’s custom fabrics; when Airbnb opened its Tokyo office in 2016, the architects created internal parks dappled with delicate Amazon olive trees. 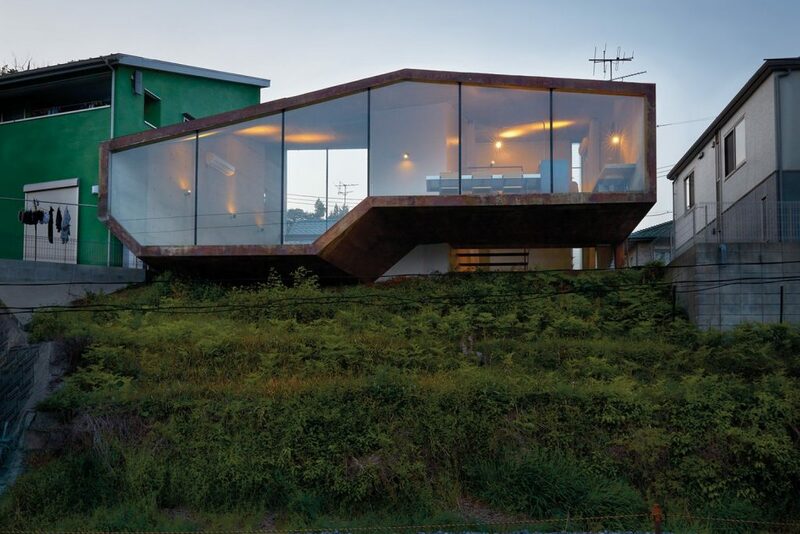 With these projects — as well as with the 100 or so residences they’ve built all over Japan — Suppose has defined itself less by a particular aesthetic or specific materials than by its working methods. Unlike larger firms, where employees tend to specialize in one aspect of the process — say, drafting blueprints or sourcing fixtures — Suppose’s designers form small teams that collaborate on every detail from start to finish. The lack of formal division reflects the firm’s origins: Tanijiri and Yoshida met during a two-year program at Hiroshima’s Anabuki Design College — neither studied architecture, nor did they train within their country’s traditional kohai-senpai (master-student) system. They simply taught themselves, building by building. When young architects consider working at Suppose, they quickly learn it’s somewhere between a job and a lifestyle: The staff shares a daily lunch of fish and rice together, and there are showers and futons for employees who pull all-nighters. In hiring, the partners prioritize efficiency over creativity, perhaps a radical notion: Tanijiri and Yoshida don’t necessarily think they can teach people to be good designers, but they can train them to listen and interpret clients’ sometimes inchoate dreams (a tree planted in an entryway floor, a completely transparent private residence) and to respond to strange spatial constraints (a house balanced over a cliffside reservoir). This being Japan, that last part is critical. In the countryside, much of the terrain is hilly; within the cities, the destruction wrought by World War II and the rezoning brought by the 1980s economic bubble have resulted in development sites that are narrow, perilously close to streets or shorelines, abandoned or otherwise left in disarray by storms or residents who couldn’t afford to maintain them. Instead of concealing these blemishes, Suppose highlights them. Forty minutes east of Hiroshima, a couple asked for a house in 2004 where they could relax and play their grand piano, even though their tiny plot hugged a constantly rattling rail line. Rather than hide the sights and sounds of passing trains, the architects designed a giant glass wall that put them on display (along with the mountainous island Miyajima across the nearby sea). 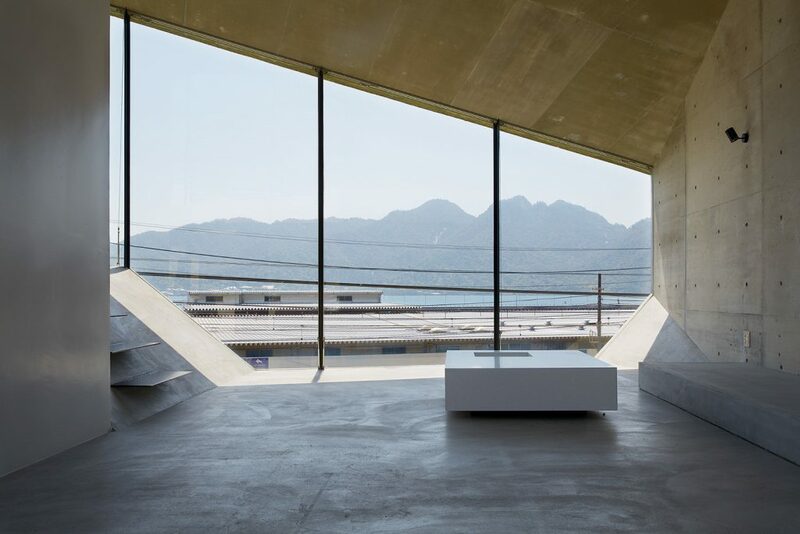 The window is mounted seamlessly into a cantilevered, 968-square-foot concrete box, which is folded in an origami-inspired style that allows its three rooms to zigzag upward. The exterior is stained a rusty hue; over the decades, as the whooshing trains kick up reddish metallic dust, it will further burnish the building. BACK AT THE TOKYO office, we sat at a table that bridged the cafe and the workspace. “Do you know engawa?” Yoshida asked me. In Japanese, the character for en translates to “edge,” the one for gawa to “side.” The term has evolved to represent the verandas outside a Buddhist temple or a traditional house. Protected from rain by a sloping roof, divided from the interior by shoji screens and intended as an exterior hallway or a quiet place to meditate upon a rock garden, the engawa is both part of the structure and excluded from it. Although the Suppose architects rarely design such terraces — they have little interest in preserving or even invoking the country’s historical nuances — they are nonetheless devoted to the engawa as an ideological cornerstone of their practice. Initially, it was hard for me to understand what they meant; we could only communicate with the help of translators, hovering between two languages, so Tanijiri grabbed a pen and began drawing. With a few crude lines, he sketched a stick figure standing inside a child’s version of a house — square walls, triangle roof — with a branchy, leafless tree out in the yard. He then drew the same house a second time, but this time he extended the roof until it encompassed the tree, bringing the outside in, or the inside out, neither and both at the same time. 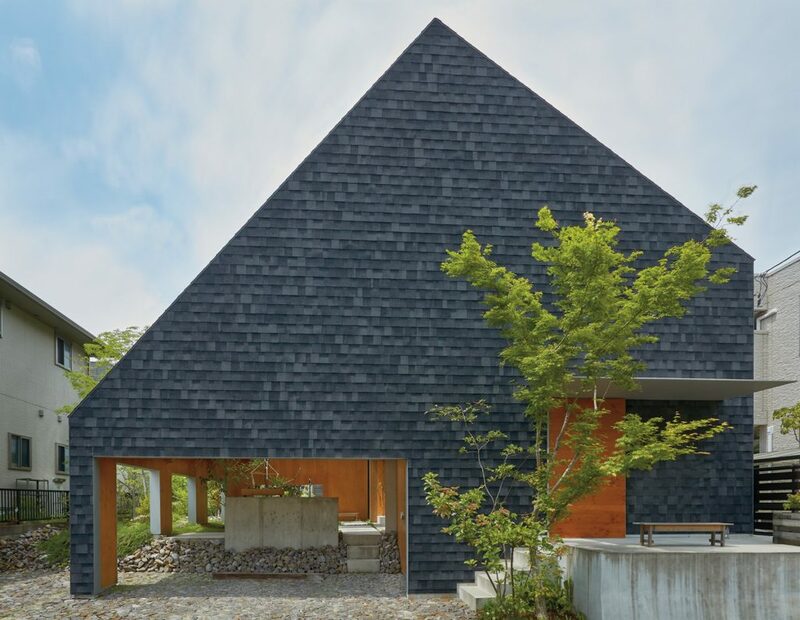 He had more or less depicted Anjo House, an 1,818-square-foot home for a family of five that Suppose finished in 2015 in the foggy Aichi prefecture, near the Pacific coastline. The interior of the asphalt-shingled structure is made almost entirely from plywood, down to the light-switch plates that follow the grain of the walls in which they’re inset. Half of the open-plan, triangular home is al fresco — with a dramatically pitched, skylight-punctured roof that partially covers a garden, dining area and kitchen where the family cooks, eats and lounges throughout the year. There is an outdoor hammock for sleeping. (There are also upholstered pieces, including a leather couch, which can be enclosed from the elements with sliding doors.) Unusual for a Japanese architecture firm, Suppose designed and sourced furniture, too, as they do for most of their projects. The result is not the sort of indoor-outdoor fantasy the clients likely first envisioned but a more elemental version of it: Three sides of the exterior have giant, rectangular holes where the walls would normally be, as if the family had chosen to live, mouselike, inside a set of conjoined garages with their doors left open. A dramatic answer to a request for a home that embraces nature, Anjo House is also a manifesto of sorts. No matter how closely the architects listen to clients’ desires and plans to use the space, working with such a firm ultimately requires that the inhabitants leave much of that behind. Even its name, Suppose, dares them to question their own assumptions. Earlier this year, Tanijiri and Yoshida themselves decided to further challenge the notion of what an architecture practice should be: Rather than merely improve real estate for others, they created their own construction firm. Their next project, in Hiroshima, into which they will move their offices, will crash together public and private domains, just as their cafe-meets-back-office in Tokyo does. In addition to a restaurant, the building will have a hotel and a gallery. With this ambitious concept, Suppose will straddle an indistinct line: somewhere between what an architecture firm is — and what it could be.